A federal judge said last week during a fiery hearing that he was “shocked” and "dumbfounded" to learn that the DOJ granted immunity to Cheryl Mills, former chief of staff to Hillary Clinton, during the FBI probe of Clinton’s server. 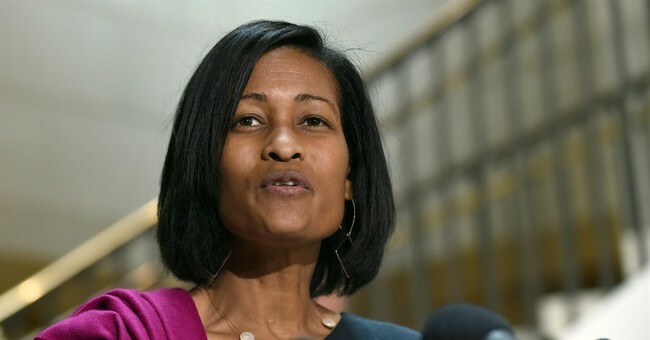 "I had myself found that Cheryl Mills had committed perjury and lied under oath in a published opinion I had issued in a Judicial Watch case where I found her unworthy of belief, and I was quite shocked to find out she had been given immunity in — by the Justice Department in the Hillary Clinton email case," U.S. District Court Judge Royce Lamberth said about Mills during his opening remarks referring to the DOJ inspector general report. "So I did not know that until I read the IG report and learned that and that she had accompanied the Secretary to her interview." According to the IG report, which was published in June, it was “inconsistent with typical investigative strategy” for the FBI to allow Mills to accompany Clinton during its interview of her. "[T]here are serious potential ramifications when one witness attends another witness' interview," the IG stated. The transparency group Judicial Watch initially sued the State Department in 2014, seeking information about the response to the Benghazi attack after the government didn't respond to a Freedom of Information Act (FOIA) request. Other parallel lawsuits by Judicial Watch are probing issues like Clinton's server, whose existence was revealed during the course of the litigation. The State Department had immediately moved to dismiss Judicial Watch's first lawsuit on a motion for summary judgment, saying in an affidavit that it had conducted a search of all potentially relevant emails in its possession and provided them. The affidavit noted that some more documents and emails could be forthcoming. "It was clear to me that at the time that I ruled initially, that false statements were made to me by career State Department officials, and it became more clear through discovery that the information that I was provided was clearly false regarding the adequacy of the search and this – what we now know turned out to be the Secretary’s email system," the judge said Friday. "I don’t know the details of what kind of IG inquiry there was into why these career officials at the State Department would have filed false affidavits with me. I don’t know the details of why the Justice Department lawyers did not know false affidavits were being filed with me, but I was very relieved that I did not accept them and that I allowed limited discovery into what had happened." Judicial Watch President Tom Fitton called on President Trump to find out why the State Department still won't answer questions about the Clinton email scandal. “Hillary Clinton’s and the State Department’s email cover up abused the FOIA, the courts, and the American people’s right to know," he said in a statement.